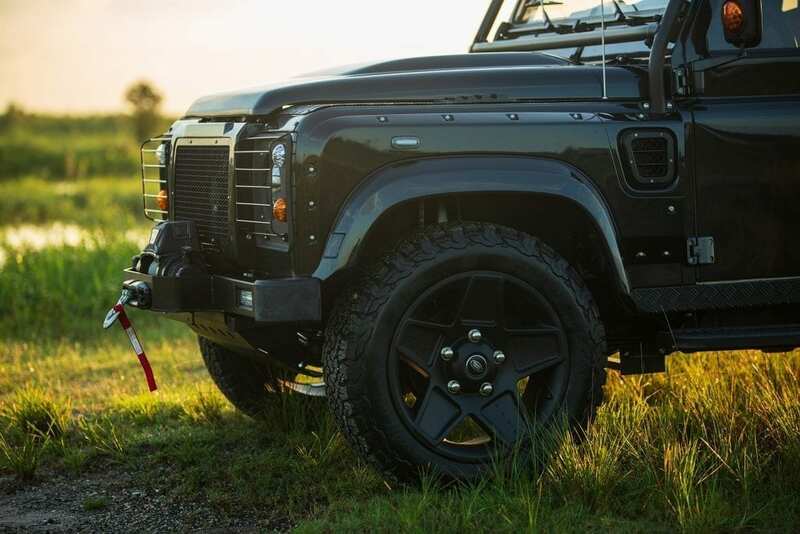 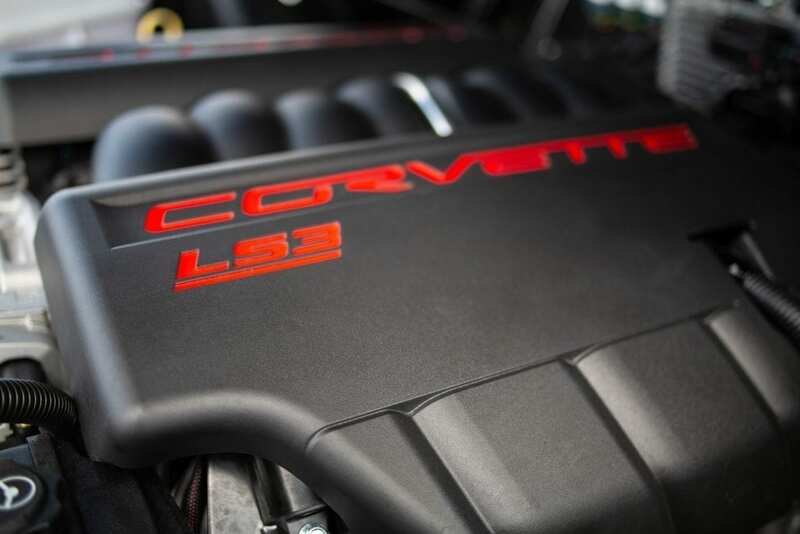 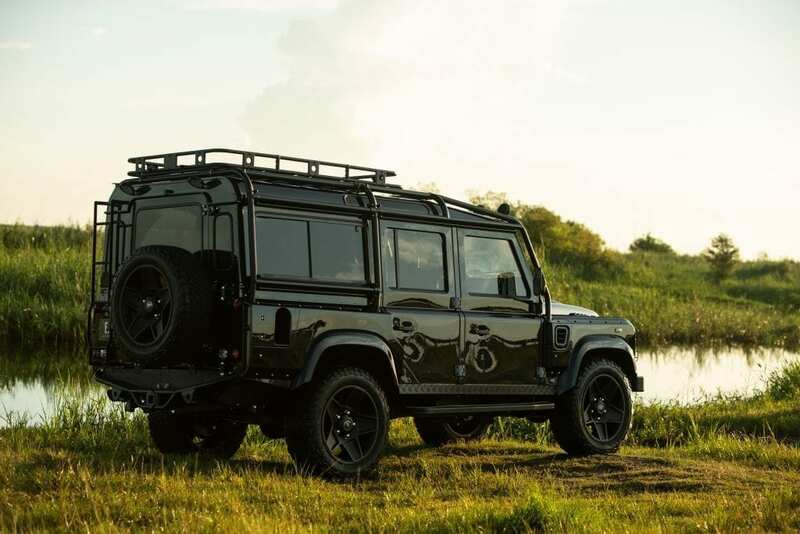 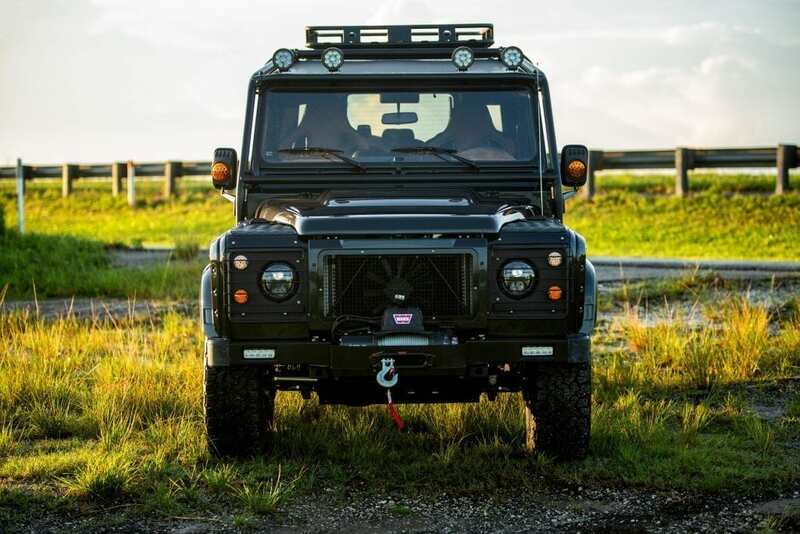 Project Evolution, the custom D110 is powered by a forceful Chevrolet LS3 V8 engine that can be heard from far away with the help of the custom Borla exhaust attached. 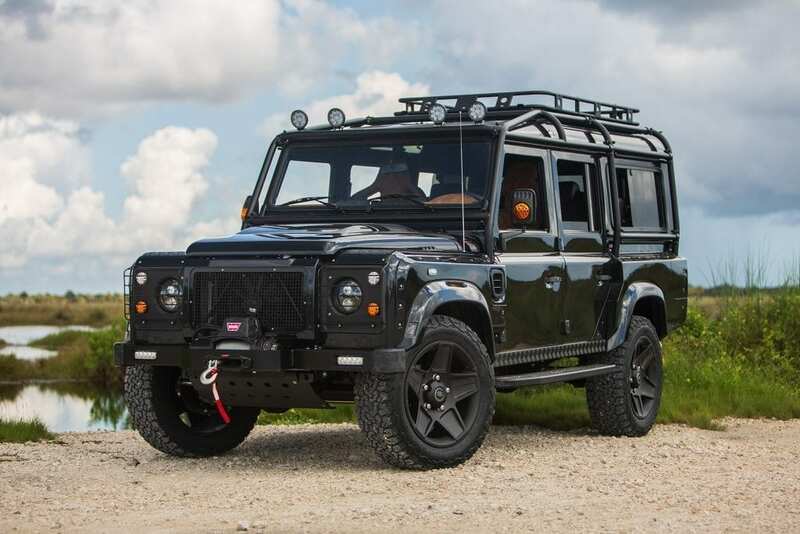 The stealth looking Basalt Schwarz Metallic in a full gloss on the exterior compliment the Kahn widebody kit to make the truck look aggressive. 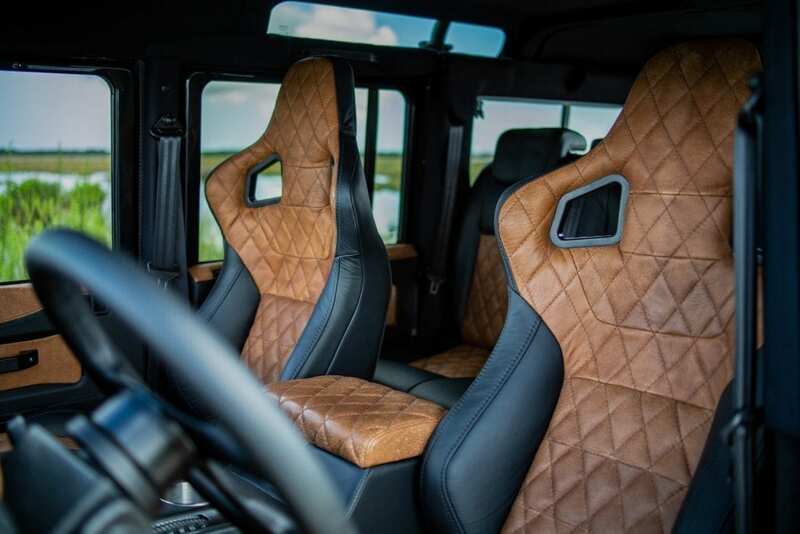 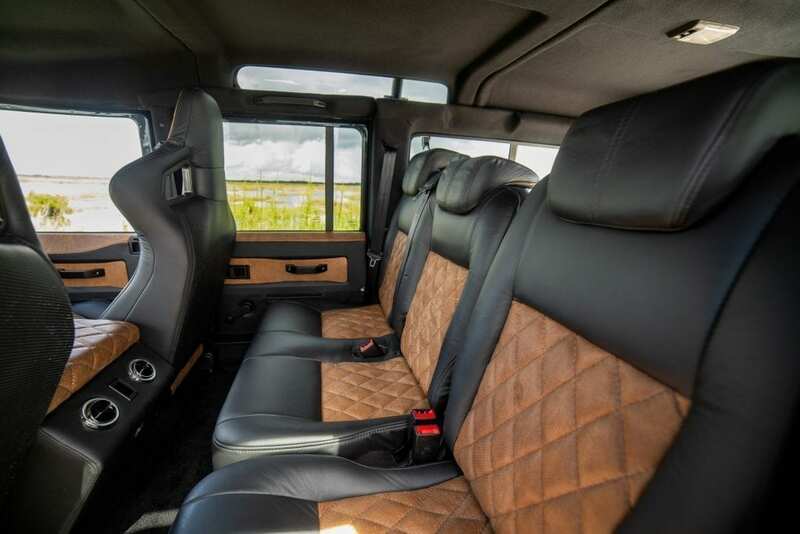 The interior matches the stealth look of the exterior with black and brown colored seats with Coja Rawhide leather.